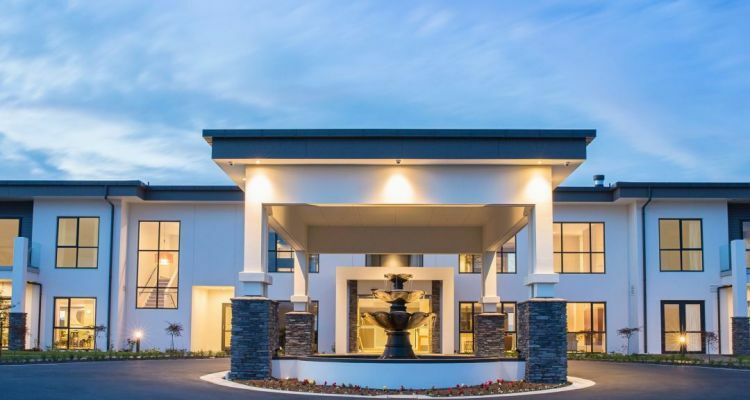 # 36 of 409 Retirement Villages in New Zealand. This facility is owned by GOLDEN AGE RETIREMENT VILLAGE. 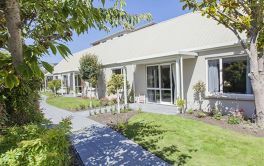 Lady Wigram Retirement Village in Wigram, Christchurch is Golden Healthcare's latest expansion in to Wigram. Currently under development are 101 Villas, 73 apartments and 100 care beds including rest home, hospital and dementia facilities. The first stage of the development is up and running with 56 of the Villas being built. 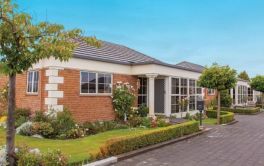 These two and three bedroom villas are stated as "beautifully designed to maximise both light and space" and the first residents are already on site now in the Lady Wigram villas. Paved and landscaped garden - Tiled entry - Internal access to garage/laundry - Ensuite and walk in wardrobe - Under tile heating in bathroom - Level entry shower - Quality carpets and drapes - Emergency call bell - Gas fire in lounge - Heatpump - Double glazing, and all whiteware supplied. 9% per year, for 3 years. × Have you visited this facility? 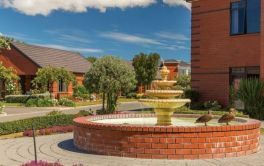 Help others who are looking for a place by posting a review on LADY WIGRAM RETIREMENT VILLAGE or review a different facility now. Caring staff good meals nice residents. A little unorganized yet as its not fully complete. More individual food for people with heath problems ie. gluten free diabetes alergies. Good Storage. Whiteware included and Drapes. Good Storage. Whiteware included and Drapes. Nice Gardens. Friendly neighbours, care as we become older. People roughly our own age. A little too close to other people at times. The gardens are a joy and one of the reasons I wanted to come here. Slow progress with hospital rest home, dementia centre. Double garage not available. Be truthful of building dates completion. (Time frames). Very good staff, friendly residents. Great Location. Handy to Super Market, mall, doctors, buses etc.. Lovely neighbours, friendly all round. Great place to live in friendly atmosphere. Been here two years and at present all positive. Attractive villa well designed. Lovely new club house with all activities catered for close to supermarket. Tile floors mark too easily. Gas heater has no remote and requires bending or kneeling to get it going. New design of villas and grounds. No worries over anything- Rates, insurance, all that sort of thing.